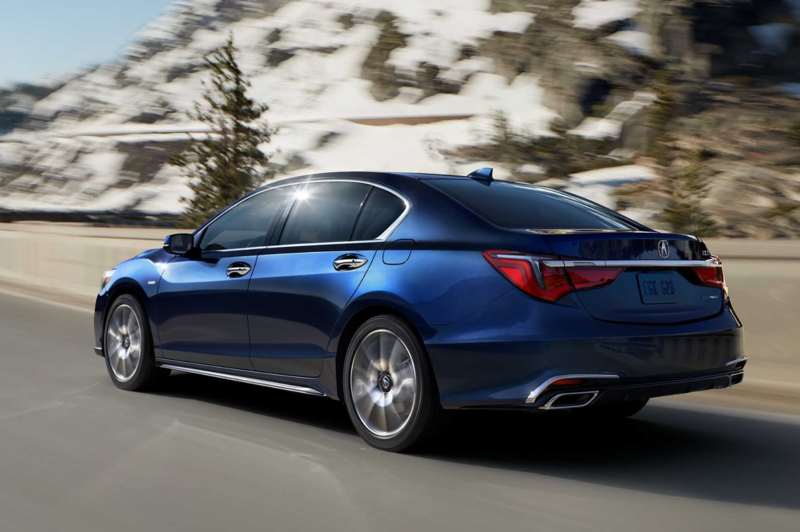 Perched atop Acura’s sedan lineup is the full-size RLX. Far less popular than the mid-size TLX and virtually all of its competitors, the RLX is a rare bird indeed. Last year a total of just 1,931 units were sold in America. That pales in comparison to the volume of Volvo S90’s (6,967 units) and Audi A6’s (10,561 units) sold in America last year. For heaven’s sake, even the often forgotten Infiniti Q80 (née M) had more than double the sales of the RLX last year. So, what’s going on? Three primary issues are at play that collectively are holding the RLX way back. Fixing one or, ideally, all could make an impact in the marketplace and allow the RLX to resonate with shoppers. Although a price cut for the top-end Sport Hybrid in 2018 did correlate to a year-over-year increase in sales, it clearly had a minimal impact in the big scheme of things. Far more drastic measures are needed to help get the RLX, and the Acura brand in general, on track. First, being that the RLX is not significantly larger than the TLX, Acura shoppers who want a sedan have little incentive to upgrade to the RLX. Perhaps Acura should follow competitor’s lead and sell an extended wheelbase version of the RLX to create more delineation both visually and in terms of interior volume. Volvo only sells the extended wheelbase version of the S90 in America and Infiniti offers an extended wheelbase version of the Q70. called the Q70L which has five additional inches of rear legroom. Like Acura, both brands don’t have the strongest reach and positioning within the marketplace, however they’ve found a niche by offering something Tier 1 brands like Mercedes-Benz, BMW, Lexus and Audi don’t. Styling is another factor at play. The RLX’s design is too conservative inside and out, lacking the wow factor of big winners in the $50,000-$60,000 luxury sedan segment. Perhaps by borrowing more styling cues from the NSX, Acura can simultaneously inject the RLX with more personality while also establishing a stronger and more cohesive design philosophy for the brand as a whole. As it stands now, the new Honda Accord arguably has a more interesting exterior and interior design than the RLX. Acura needs no holds barred sensational design to stand out from the crowd and impress shoppers not selecting a car based on price. This is a tricky one that would not be a quick fix like the other two prescriptions. The fact of the matter is the Acura doesn’t spring to mind for most consumers when they think of luxury car brands. While value shoppers in the sub-$50,000 segment can look past badge appeal and a less polished dealership experience if they’re getting more features for less money, above that price point expectations are much higher and that’s where Acura comes up a few cards short. Improving brand awareness and perception would require a massive investment in research & development, design, materials, dealerships, and marketing, but it could pay big dividends by moving Acura from a bit player to a major threat to competitors. The days of pushing warmed-over Hondas should come to an end and usher in a new era for Acura, and it could all begin with the RLX. While pursuing such an undertaking to transform a underdog into a force to be reckoned with would require courage and grit, that’s just the stuff that Legends are made of.